I only discovered your blog a few days ago. I think I was up until 3:00 AM the other day because I couldn’t put it down. Thanks. I’m just joking. I wish I had found you a month ago. We just painted our living room. I wanted it to be that soft silvery, calming pale blue paint color I’m seeing all over the place. I bet you didn’t test the paint. But please don’t beat yourself up. What you did wrong is as common as corn flakes. You went to the store. Maybe you didn’t even bother to bring the paint chip home. But even if you did, you probably put it down flat on a table to look at it instead of flat against the wall where it’s going to live. Looking down on the color, is not the color. Looking at it at the store or outside in your car is also not the color. Still, no one ever told you this, so how were you supposed to know? But take heart. The color that people most often mess up is blue. Why? Because when you want to paint a room a pale blue, we have a tendency to be seduced by those “pretty” blue colors. But when they go up, look out! We ignore the really great colors because they look so gray! But gray is what makes pale blue soar when it’s painted on a wall— or a ceiling! I’m going to tell you right now. Please go and fetch your Benjamin Fan Deck. The “Classic” one. Now, please rip out everything between 547 and 854. Common’. I’ll wait. Okay, there are about 20 colors in there that are good, but the rest, unless your name is Miles Redd, Mary McDonald or Katy Ridder, please stay far away. Some of those colors should be illegal they are that bad. *** = GREAT COLOR, GO FOR IT! Fortunately, there are many, many lovelies in all of the Benjamin Moore fan decks. Again when choosing pale blue paint colors, think gray. And don’t forget to test! Interesting room, isn’t it? I think what makes it work, is the calm soothing color on the wall! I don’t think the walls are actually blue here, but this has to be the most beautiful eating area I’ve ever seen! I would be the one who would slobber marinara sauce all over the settee and while I was cleaning it up would knock the coffee over. If this were mine, I wouldn’t serve my guests anything but saltines and seltzer. ;] By the way, those gorge chairs, I recognize as one of my faves from Hickory Chair by the wonderful Suzanne Kasler. Love the floral fabric on the back. Really smart. Don’t forget the ceiling! A pale blue-green-gray is amazing on the ceiling. Those pagoda pendants kinda took my breath away. I made it my mission for about 30 minutes to find those pendants and I did it in 20! I found them on Circa Lighting. Coincidentally, Circa Lighting is opening up a new showroom in New York City next month and I’ve been invited to attend the opening reception. Since they’re one of my fave vendors, I’m going! We just did this color in a master bedroom and it’s very pretty! This isn’t glass slipper. It’s a strie of these two colors. MYSTICAL BLUE 792 glazed with FADED DENIM 795. But since you’ve ripped them out of your fan deck, sorry, you’ll have to use something else. Actually, this looks nothing like those two colors! I added this, because I love the photo! Woodlawn is the bluest of the pale blues here but it’s a definite winner! I know everyone says that it’s the end of summer now, but until it’s around September 21st it’s still summer in my book! Whatever your views are. Please enjoy! Love the black ceiling. Sounds gorgeous! Yes, the blue undertones come out on the wall, not in the can. My color also looks blue-ish sometimes and it does not look even remotely blue on the chip. Hi! Love your blog! I was contemplating using farrow and ball’s mizzle for my master bedroom. Any experience with this color? I have painted 4 different squares in my room and sometimes it looks too blue. I was afraid to take the plunge! Please help! lol Laurel! I was working on a project and searched for a specific blue chip for my presentation from Ben Moore and damned if you did not pop up instead! I am commenting only to let you know Seaside Resort #725 in on a coastal kitchen I did years ago and is probably one of the most prolific “blue” kitchen pinned etc….I can reverse image search it and it comes up around the world ….silly little kitchen but powerful color…AND IT IS between 547 and 854 🙂 And I am most assuredly not Miles Redd! I think that almost any color can work for something in the right hands with the right light and with the right “friends” to play with! Always enjoy stumbling onto your blog posts…you are hilarious! Love this and you are so right. I’ve seen some colors that look pretty gross on the chip but when they are up, with art, furniture and lighting look awesome! Thanks for sharing that info. 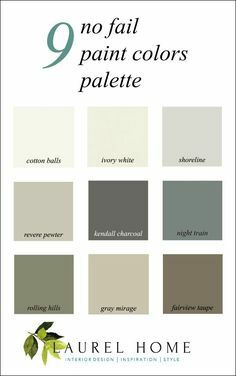 I always love to hear about great paint colors. I love those watery – gray blue greens! I took a look and close BM colors are – Silver Crest 1583 which is a hair deeper and Stone Washed 865 which is a nano-hair lighter, but otherwise, to my eye, exactly the same. I have a bathroom with grayish/white floor tile and grayish/white granite countertops. Dark cherry cabinets. There is white tile in some of the room with a thin sky blue stripe running through it. Two walls that face opposite each other are beadboard, which I am going to paint a shade of white,similar to the tile. I was thinking of trying to paint the remaining walls, which are above the tile and just a small portion of the room, a different color from the white. 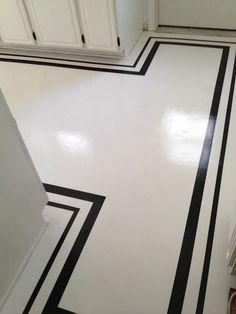 My question is: Should I try to match the paint color to the granite and the floors or to the thin sky blue stripe of tile that has no other color like it in the room. Or is it best to try to find a blue/gray shade of paint that incorporates everything? I’m painting a new very small room, I’m thinking a very light blue gray with darker blue gray trim. The room is only 8 X 10 feet, it will be a small office with only natural light coming from a sliding patio door. Christopher Columbus’ friends also said that he was crazy. As well meaning as I’m sure that they are, please ignore them. They only know what they know and what they know are white ceilings. I think it sounds stunning. Now, I haven’t seen your room, but I would paint the trim the same color as the walls but in a semi-gloss finish. Oh, there’s a post here about that too. Hang on and I’ll fetch it for you. There are several rooms in this post that are painted all one color and most of them are blue. Wishing you strength against that incessant chorus of naysayers. And then practice your best gloating smile when they come over and tell you how amazing it looks! I’m so sorry but I can’t answer that because I don’t know what your light is like. I don’t know what else is going on in the home–what the permanent finishes are, what your furniture looks like. I don’t know if pale blue and yellow is a good idea. I think what I’m hearing is you want a French Blue and that would be a lot deeper than any of the blues on this page. A blue that doesn’t have a good amount of gray in it IS going to look baby blue. In fact, the best light blues, actually look gray on the chip. That is the mistake people make. The color that one perceives on the chip is NOT what ends up on the wall. Please remember not to look down on the color. It must be put up – FLAT and perfectly vertical (not propped up) and taped directly to the wall. Gosh, I would not paint it different colors unless there’s an architectural way that you can create a definite separation. That’s the problem with stuff like that. And there is no shame in painting it all ove color. 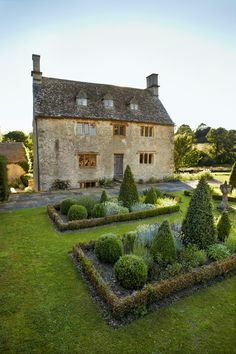 In fact, it’s a great way to unify the spaces that connect with rounded corners. Hi Laurel. I want to change my dining room from a red color to something more neutral and lighter. I have BJ Richmond Bisque on the adjoining living room walls. I have already primed the dining room walls. What would you suggest for a light gray/blue that would go well with the living room? I’m sorry, but I cannot recommend paint colors in the comments because first of all, it’s impossible from a description and two per the note above, cannot give individual help in the comments. No worries. I get similar comments from about 50 people a week. Yes, I am a bit ambiguous about it and share your feelings. Quite frankly, I would never do it. I would do an all-white kitchen and possibly something else on the island if there is one. I think you mean Palladian Blue. I’m sorry, however, you may have missed the above statement, but it’s impossible for me to give individual advice. The primary reason is that I am not there, so it’s impossible to say. If you had said, “what’s a color a shade bluer than Palladian Blue?” I could answer that. Woodlawn Blue hc-147. I love your blogs!!!!! I just painted a small bath Quiet Moments – tile is same color…now everything looks green. Thinking of now doing the walls in White Dove to contrast shower tile…..cabinet is white dove with Calcutta. Sorry, not sure if I answered you or not, but I can’t give thoughts without seeing the situation. It’s like saying to your dr. that you have a headache. Is he going to diagnose you and prescribe meds over the phone? It’s just like that. I have to admit, I wish I had found you sooner. You crack me up and I need that as life has not been so kind to me. Your blog has been one of the few bright points in my life recently. Just wanted you know that. It’s inspired me to perhaps start my own blog one day. Blessings to you! You didn’t mention BM Palladian Blue. I am thinking of painting my kitchen that color. It seems to have a lot of green in it. Do you have experience using this color? My kitchen is all white except for the floor which is medium blue ceramic tile. I am looking for a pale blue for walls so does not look to much with the blue floor. Any suggestions? I am sorry, but I cannot give paint recommendations in the comments because I cannot see your room and also there’s a fee for color consultations. However, I’m booked up right now and not doing that. Hi Laurel, I’m confused as to which color is what on this page. Are the names of the colors listed under or on top of photo? Your blog posts are so helpful thank you so much! Probably one of my biggest problems is being able to tell what the undertone color is in a paint. For example, with gray, is the undertone purple or green etc. Do you have a full proof way to correctly tell the undertone of the color? Your blog is great, and so helpful! Do you think Picnic Basket is too intense/colorful for a (small) living and dining room? Here’s why I’m considering it vs something more neutral. Our house is a 1924 bungalow with the living/dining rooms facing east, across the front of the house, with a wide opening between them. They don’t get a huge amount of light even in the morning, because both face the porch. And we live in rainy Portland OR. But they do each have a large lovely window to the porch. And on the end of each room are the original built-ins (painted a nice soft but clean white) with smaller windows above. So those end walls are mostly built-ins/windows/fireplace, not much wall. I would have more wall color choices, but the previous owners painted the door trims and baseboard/crown moulding in these rooms a pinky-grayish color, sort of between BM Sea Froth (2107-60) and Cloudy Gray (2107-70). Maybe even slightly pinker. The house needs a lot of other things and we can’t deal with painting that trim right now, but the walls are a horrible mauve I can’t live with, so I’m looking for a wall color that can go with the trim. When I put the lighter gray-blue-greens (such as Silver Crest or Wickham Gray) next to this pinkish trim, it all looks really bad. We have the original light oak floors, and the living room rug (vintage Moroccan) has an ivory background with floral pattern in navy blue, pale green-blue, lavender and pumpkin. Hi Lesley, I have tried to figure out a way to say this and it’s on my contact page. and believe me you are not alone. I’m so sorry, but I cannot answer questions that constitute individual advice. If I did that, I’d be sitting here all day answering questions for free! Yes, that’s a great color too. I put it in the cool gray post a few months ago because it does lean a little closer to gray than blue. Let’s see if I can comment. Having problems this morning. Yes, Woodlawn is lovely. That sounds interesting with the stair riser. The only thing I can’t stand is when it’s stained wood unless the entire place is wood. The back of a cabinet is also a great place to get your dark “feet” wet. I’ve always spelled “gray” with an A too and I’m from Indiana. It rhymes with bay, day, lay, say, stray… so why would there be an E in it? Although, English is full of stuff that’s weird. My clients painted their family room that color and you are right! They used it in their son’s room too and it is still wonderful, just darker because of the north facing dimmer light. In fact, I like it even better in the darker room. I’m with you with the dark colors. (although my bedroom is Tropical Dusk which is fairly dark). First of all, I would confine it to a smaller room and one with good light. Although, I’ve seen some gorgeous very dark halls. People who’ve done Van Deusen Blue are very happy with it. It’s a tad warmer than Newburyport. But, maybe you don’t want it to be warmer. Glad you included Woodlawn Blue! It’s a great blue. I have successfully used it in a kitchen & bedrooms. We now have a bedroom with (ivory) white walls and the ceiling, Woodlawn Blue: So fresh & pretty. Sherwin Williams’ Copen Blue is a close cousin. and it is stunning. Not to dark, not too blue, not too gray (Canadian spelling). Good lord, Laurel! Those are some seriously breathtaking rooms-I keep going back and forth on which one is my favorite, without conclusion, and now I’m looking at all my rooms, wondering which one I could repaint with one of those ravishingly lovely colors!